Remodeling the home is a huge task requiring a lot of information and planning. Luckily, it no longer has to be a notebook filled with numbers and indecipherable scribbles. 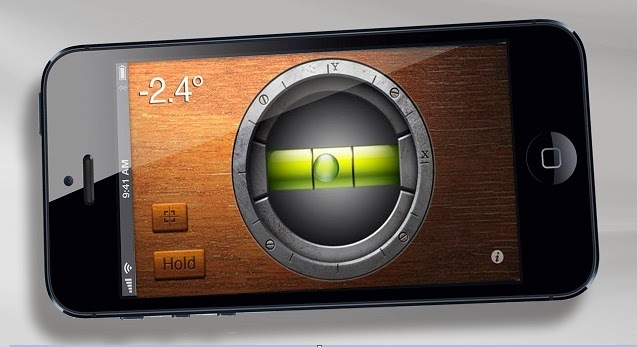 Turn your phone or tablet into the ultimate tool for any remodeler with these awesome apps. A full kit in one app, the iHandy Carpenter combines leveling tools, protractors and rulers into one, easy-to-use program. Perfect for any handyman looking to downsize their tools, it is incredibly accurate and works seamlessly. This is a complete construction calculator, perfect for calculating any type of measurement. From cubic footage to an aggregate calculator, it helps you figure out just how much of everything you’ll need for the remodel. It also tracks the time spent on a project and can save the data to a notepad. Before destroying anything to make way for the new, it is important to visualize what it is you want in order to ensure your vision and reality work well together. With Home Design 3D, you can remodel your entire home, creating both 2D and 3D renderings. With everything planned out and ready to go, what good is a project without a plan? Able to create project tasks, To-Do lists, photos and product links that can be shared with others, it is a great way to stay on target so your new room is completed on schedule. This app lets you write measurements on photos of the room you are redesigning. Simply snap a photo and then note the lengths of the walls, floor and any odd nook and cranny. Notes can be added and the photos can be organized by room, favorites and important. Objects can also be included should you need to measure a new door at your visit to The Garage Door Co Ltd or other quality garage door company. This flexible app gives you experimental capabilities. Instead of simply imagining what things will look like, it allows you to try out new paint colors, different pieces of furniture and layouts on photos you provide. In the end, this visualization tool can save you a lot of money and hassle. This app by BEHR is perfect for color combining and testing before making any type of purchase. It allows you to find any color then applying it to a photo of your choice. You can also experiment with different color combinations to see if orange would work with green. There is even a neat photo match that lets you choose a color from a picture, and it finds a corresponding paint color. If you know any other similar app, you can share it with us in the comments below. This article is contributed by karleia steiner and posted by Rizwan Ahmad Author and founder of cyberockk.com, He is a tech blogger from India and he loves to share his thoughts by writing articles on this site to the different topics related to technology world.